Final SkyDrift Q&A and a Europe only release? Digital Reality have posted the final two parts to their SkyDrift developer Q&A series on Facebook. Part 5 discusses music, power-ups and a secret of which will only be revealed in the final event of campaign mode, whilst Part 6 answers those all important gameplay questions. 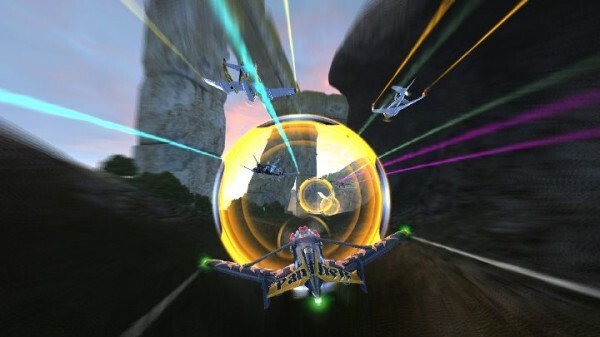 SkyDrift soars its way on to XBLA tomorrow, September 7, for 1200 MS points…in Europe only? Today Xbox Live’s Major Nelson announced the upcoming Xbox marketplace schedule for the next two weeks stating tomorrows release of SkyDrift is for Europe only. No explanation has been provided at this time and there have been no comments made by Digital Reality. It is possible this is another “major-mistake” so we will update you as soon as we know more. In meantime click the links below for the Q&As.